Canada’s Amaya, Inc., parent company of dominant online-poker market leader PokerStars, announced on Thursday a significant amendment to an ongoing credit agreement with unnamed financiers that includes a modification to “change of control” provisions. The amendment appears designed to block the possibility of a “certain current shareholder” to obtain operational control of the company by forcing it into default on its loans. Though not named in the statement, the shareholder is believed to be Amaya’s former CEO, David Baazov. Baazov, who was charged in early 2016 by Quebec’s financial regulators with participating in a long-running insider-trading scheme, has also launched multiple attempts to acquire Amaya via independent financing, and thus take the company private. While Baazov continues his legal fight against Quebec’s AMF (Autorité des marchés financiers), he has repeatedly eyed Amaya, even as the company has already vowed to move on from its Baazov-led roots. “At the request of certain lenders,” according to the Amaya presser, “the amendment also modifies the change of control provision to remove the ability of a certain current shareholder to directly or indirectly acquire control of Amaya without triggering an event of default and potential acceleration of the repayment of the debt under the credit agreement for the first lien term loans.” In other words, the banks weren’t going to cooperate with refinancing requests unless even the slight possibility of another Baazov takeover bid was removed from future corporate scenarios. Amaya publicly appeared to have its fill of Baazov’s takeover attempts after the last one farcically included four supposed other investors, only two of which turned out to be legit. Nonetheless, Baazov remains Amaya’s second-largest shareholder, owning about 17% (or about one sixth), of the company’s outstanding shares. 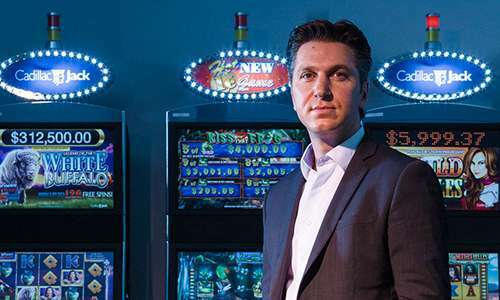 Baazov thus owns enough of the company to influence its market performance in a number of ways, even if he is no longer involved in Amaya’s day-to-day operations. The formal Amaya statement, of course, focused on the successful repricing and “retranching” (the word comes from a French form of “retrenching” reflecting a “cooling down” of a given operation or exercise) of its major first-lien term loans. Amaya was able to secure a lower interest rate on those loans, and thus free up another $48 million of previously allocated 2016 excess cash flow. That $48 million, in turn, will be sent on to PokerStars founders Isai and Mark Scheinberg to further reduce the outstanding debt from Amaya’s acquisition of Stars in 2015. The changes also waive required excess cash-flow debt repayments to the Scheinbergs that were originally mandated for March 2017 and March 2018. The modified payment agreements indicate an ongoing, constructive relationship between Amaya and the Scheinbergs, but should not be construed, as is often cited in business rumors, of an active return by the father-and-son Scheinberg team to either Amaya or the online-gambling world. 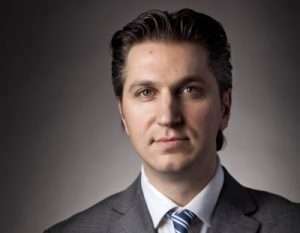 Both the Scheinbergs and the current Amaya ownership would have ample reasons to see another hostile takeover attempt by Baazov squelched, given the general embarrassment the former CEO has caused the company over the last year and change.